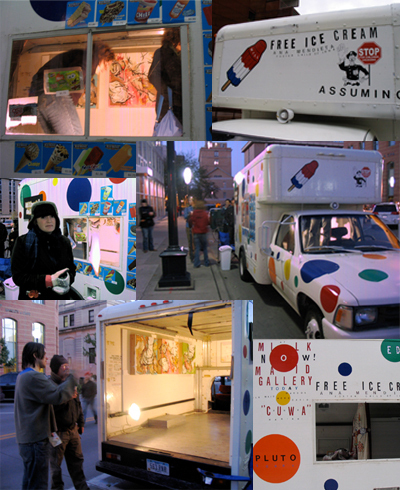 gallery works at its day job as an ice cream truck for Papa Bear's Novelty Foods. At other times, the truck masquerades as a roving art space fit for two or three-dimensional work. Keep a look out for the Milkmaid Gallery coming to your neighborhood. Britta Urness is a second year graduate painting student at the University of Iowa. Any questions or ideas can be directed to The Milkmaid Gallery.